Joseph Aaron was born in Virginia and made the move to Nashville in 2013. After working on the business side of the music industry with Capshaw’s Red Light Management for 10 years, he decided to pursue his solo career. He has shared the stage with David Nail, Edwin McCain and Everclear. NSAI has deemed him as one of their “Artists to Watch”. His current EP “The Mountain, The Lion, & The Labrador” is nominated for the 2016 Indie Ville TV Awards for Indie Pop EP, which will be on May 6, 2016 at Rocketown. Joseph is also currently working on his newest EP, which is set to be released in the summer/early fall. I recently caught up with Joseph as we discussed his journey in the music industry so far. What’s your favorite part about being a musician? There is no ‘normal’ day. You could be behind the piano one day and 500 miles away playing a show the next. What do you think makes you unique as an artist? I think using the piano as a front instrument is a major point of differentiation. The fact that I play the piano like a lead guitar also probably helps. Though I’m pop, I have a strong narrative style that blends my background in folk with my love of soul of pop. What’s the most challenging part (to you) about being a musician? Remember how I said there’s no normal? Because every day is different, every day brings new challenges. Sometimes it’s a business challenge, like ‘how do I get my music out to a wider audience?’ Sometimes it’s an internal challenge like ‘I need to write..but I feel like I’ve exhausted the creative wells inside today.’ Navigating the personal and professional is hard for anybody, but when your career depends on blending the personal and professional, it can feel overwhelming at times. Is it challenging to have a real social life outside of performing? What do you do to keep the balance? What do you do in your personal downtime? Hibernate. I have only so much social battery before I need to recharge on my own, whether that’s writing in a coffee shop or reading at home. Who inspires you musically?/ What’s the one album you can’t live without? I don’t know that there’s one album I can’t live without, but I will say at this point in time I’m enthralled with the latest albums by needtobreathe and Coldplay. Oh, it’s always the same. Forgetting lyrics, playing the wrong song…I’ve been fortunate enough to have always had a band of solid players…so they usually cover my mistakes. What do you consider your biggest accomplishment (so far) in music/what has been the coolest experience you’ve had in your career so far? Crazy as it sounds, opening for Everclear. It was a sold out show and the crowd was really into it. It makes such a difference when you have an active crowd. You want to give more/play harder. I’m not really sure how to explain it. What is one piece of advice you’d like to give other artists that are out there trying to make it in the music industry? You’re going to want to give up. Don’t. What venue do you like to perform at the most? Small clubs, for sure. They usually have their own dedicated following that’s pumped to discover new artists. So even if you don’t have a fan base there, you’ll have a good show. Knowing everything that you know now, what would you do differently in your career? Start earlier. Without a doubt. I’m working on my follow-up to “The Mountain, The Lion, and the Labrador”. What’s your favorite way to connect with fans? Pictures, Social Media, Interaction at shows? Always in person, for sure. Outside of that, probably Instagram. Definitely a 4th grade elementary school talent show. That counts, right? How long have you been performing/playing music? Where do you see your career in 10 years? What are your goals for the future in music? I’d love to tour in Europe, but my biggest ambition is to get to a level of success that can support me and a family. That’s my definition of success. Was there one defining moment for you where you knew that you wanted to play music? When I got shortlisted for a Ryan Gosling film…I guess I needed that validation to put me over the edge. Have you ever had an experience that turned into a song? More or less, all of them. 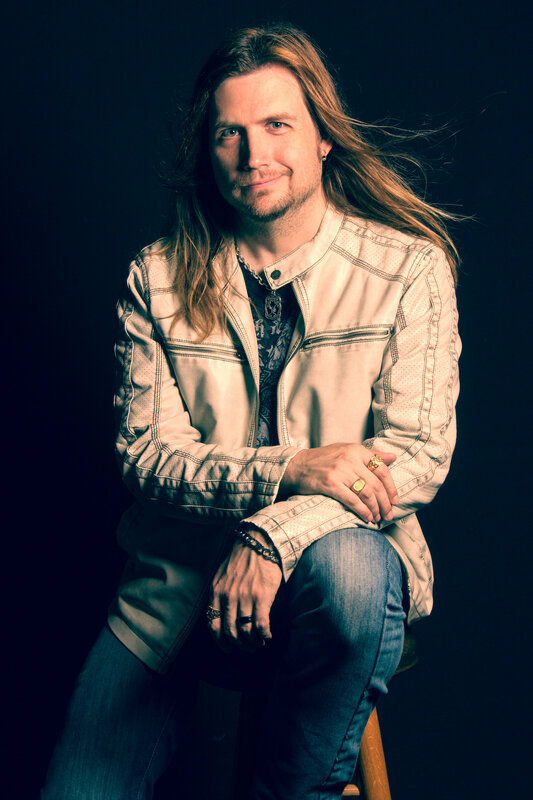 With a genuine personality that can light up a room, Joseph’s unique artistry and passion for playing piano with his signature pop/rock/blues vibe makes him an artist you will want to keep your eyes and ears open for. With his clear vision for the type of music he wants to share with the world, Joseph truly has something special as an artist. Be sure to stay up-to-date as Joseph continues to release more music by visiting his website www.josephaaron.com and follow him on Facebook, Twitter and Instagram. You can also stream Joseph’s entire EP, “The Mountain, The Lion, and The Labrador” on SoundCloud here. Kelcy Hyde is a 21 year-old country cutie from Las Vegas who started singing at the age of 6. She even had the opportunity to open for Darryl Worley at age 13. She has also opened for artists such as Big & Rich and Gretchen Wilson. She has also played at many music venues all over, including the very popular, well-known venue, The Bluebird Cafe in Nashville. Most recently, Kelcy co-wrote all of her songs on her album, “Your Heart Amazes Me”. I had the opportunity to meet Kelcy Hyde a couple of months ago. We discussed her journey into the music world, and she shared the meaning of some of her songs with me. These songs stem from Kelcy’s real life relationships. I immediately realized that this girl is not only an incredible singer, but also her ability to share her gift of songwriting with the world through very personal and emotional songs is truly touching and inspiring. I firmly believe that with her sweet nature and true passion for music that she will be an artist people will want to follow. In this interview, we get the opportunity to learn even more about her. If you could perform with one artist or band, who would it be? My whole life I have listened to one country singer more than anyone and he is my favorite. With that said, I am completely sure that if I had the opportunity to perform with George Strait, I would cry! What’s your favorite way to connect with fans? My favorite way to connect with fans is in person of course! There’s nothing like actually shaking hands with your fans and talking to them face to face. Just being on stage, performing songs that you’ve created and singing your heart out to everyone in the audience. I can’t explain how magical it is, but it’s my favorite part about being a musician. When I was 6 years old, I sang “Seek Ye First” in my church talent show. Originally, a pianist was supposed to accompany me on the song, but unfortunately couldn’t make it. Instead of backing out of the show, I decided to sing the song A Capella. That was the first time I had ever performed on stage, sang a solo, or received a standing ovation in my entire life. After that, I was hooked. Be on the lookout for Kelcy’s single, “Boots Off”, which will be released within the next couple of months. You can also follow her updates on Facebook, Twitter and Instagram. Chris Freund moved to Nashville from Neosho, MO in February 2012. He grew up playing gospel and country music, and even though he primarily plays country music, he has also recently started playing some Blues and 80’s Rock music as well. When Chris isn’t working on his own music, you can usually find him playing keyboard and singing background vocals in downtown Nashville with the mother-daughter duo, The Taylors. I recently had the privilege of meeting Chris through a mutual acquaintance that was very excited about connecting us with each other, and I must say that I personally am very happy that we were brought together. Chris’ endearing and enthusiastic personality shines through from the moment you meet him. In this interview, we get a peek into Chris’ positive attitude and how he manages to stay balanced in his personal and professional life. The way Chris plays keyboard, mixed with the lyrics to his single “My Past in Front of Me” make for an emotional and touching song. I love the interaction with people. For me, it’s all about the connection with people. I want to see smiles on faces; see people singing along. If I can help someone forget their problems, even just for a few minutes, then I’m doing my job. Being on stage is the easy part! The hardest part is the setting up and tearing down of equipment, the driving to and from the shows, and the stress of making a living at music. Being a musician on stage is only a fraction of being an actual “musician”. So much happens behind the scenes, away from public view. It can be a challenge at times. My wife, who is my biggest supporter, works during the day. I work primarily at night. My friends all seem to be in the music business, so if I don’t see them, it’s probably because we are all working around town at the same time! I try to have at least one night a week off to spend with my wife. I love cooking, and watching baseball (Go Cards!). I’ve gotten to open for some pretty cool artists (Justin Moore, Joe Diffie, Kentucky Headhunters) and I’ve gotten to play for some great artists. My biggest accomplishment, however, has been getting into the studio to record my original music. That’s when people get to see the real me; my thoughts on life and what is important. I’m so excited to get the recording completed! What is one piece of advice you’d like to give other artists that are out there trying to make it? Don’t worry about trying to make a major label as soon as you get to town. Work on your singing, your instrument, your songwriting; whatever you do, always do your best and never settle for just getting things done. Trust your gut. Trust God. Have a plan (a 5-year plan is best) and take the smaller goals just as seriously as the big goals. Never. Stop. Dreaming. Never. Stop. Working. I am working on recording four original songs in the studio. When those are complete, I will have five songs available as an E.P. on my website and at my shows. What’s one thing you want your fans/future fans to know about you? I’m just like you! I have my faults, weaknesses and difficulties. I get to make a living playing music because of you. Feel free to talk to me at shows; ask for pictures. Let’s interact! I have all the social mediums, but I look forward to actual interaction with people. Typing conversations are good; in-person ones are even better! I’ve been playing piano since I was three, and chording since I was eight. I picked up other instruments along the way, but keys are my main instrument. My wife Rachel is without a doubt my biggest supporter, followed by my parents and friends. I’m so incredibly lucky to have them all in my corner. They believe in me, even when my self-doubt almost takes control of me. They keep me going. Brad Paisley. I love his playing and singing, and I love his views on music and life itself. He seems like the kind of guy you could hang out with and enjoy a good brew (iced tea or beer) and discussion. Where do you see your career in 10 years?/What are your goals for the future in music? I see myself playing my original music and singing with my band. That’s the ultimate goal. Large crowd, small crowd, whoever will listen. The goal is to make an impact with my music and help people. If I can do that, big record contract or not, I’ll consider that a success. You can catch Chris Freund performing in downtown Nashville each week with The Taylors at Layla’s 9pm-1am on Tuesdays, and Wednesdays 2-6 pm. He also performs at The Wheel on Thursdays 6-10pm and Sundays 2-6:15pm at Crossroads. I’m very excited to see what else is in store for Chris Freund in the future. I’m looking forward to hearing his newest music released on his upcoming project “The State I’m In”.